United States President Donald Trump has again weighed in on the case of Jussie Smollett, tweeting that the U.S. Justice Department and the FBI would look into it. This is just the latest development in a case that has confused outside observers but where prosecutors maintain they acted appropriately despite a backlash from Chicago police and the Mayor of that city over their handling of it. Prosecutors on Tuesday dropped charges against the actor who was accused of staging a homophobic, hate crime attack on himself in late January. Federal authorities had already been investigating elements of the case – in particular a threatening letter containing a death threat that Smollett received at work before the alleged staged attack. President Trump’s tweet calls the decision to drop charges outrageous and an embarrassment to the nation but prosecutors maintain they acted appropriately. The Cook County State Attorney’s Office has defended their decision through Prosecutor Joe Magats. Smollett was arrested in February for allegedly filing a false police report and while he was indicted by a grand jury, prosecutors shocked the world by dropping all 16-felony charges against him with the consent of a judge, infuriating Chicago police who believed they had an airtight case against him. The Mayor of the city Rahm Emanuel has not minced words in expressing his view that this was a miscarriage of justice. Federal authorities, including the FBI have yet to comment on their investigation so it remains unclear exactly what they can do – if anything – regarding the prosecutorial decision not to proceed with the case. But they do have jurisdiction over offenses committed by mail or through the U.S. 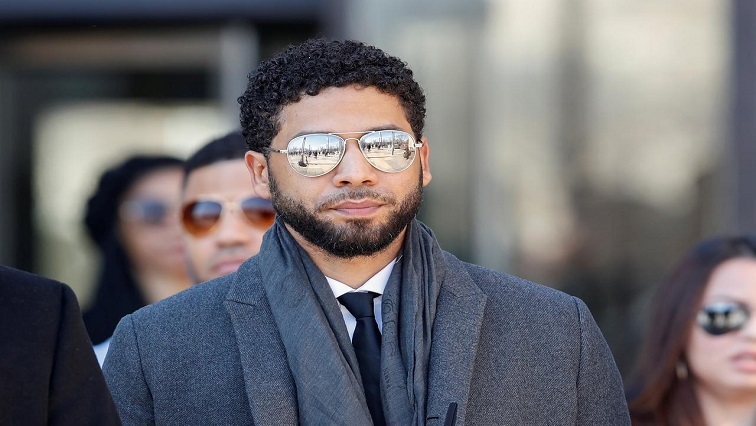 Postal Service so the letter, which included a white substance sent to Smollett before the so-called staged attack, remains an issue yet unresolved not just for investigators but for the actor himself. The post Trump weighs-in on Smollett case appeared first on SABC News – Breaking news, special reports, world, business, sport coverage of all South African current events. Africa's news leader..